Secure SHell is awesome. I think it is one of the most valuable, yet taken for granted tools in Sysadmin's arsenal. This post is about Public Key Authentication, a feature that makes remote access of multiple systems not only faster, but also more secure. I won't talk about how public keys work. If you don't know it yet, you could learn more here. The point is, I use Public Key Authentication (PKA) very often, on all types of OS, to connect to a large variety of hosts. So here are my preferred ways to set it up. ssh-keygen -t rsa -b 4096 -C "sergei@MacBookPro"
Argument -t specifies the type of key you're creating (go with RSA), -b is the encryption level (I'm doubling the default value here), -C adds a comment to the public key (now it's easy to ID my key on the remote host). After some time you'll be prompted for keys name / location and the passphrase. Make the phrase a long one if you want good security, it stops bad people from using your key. A sentence or two from a song / poem / story you like, with punctuation and capitalization will make it more secure, and more memorable, than randomly generated password. In some special cases you can just hit "Enter" for password-less key. Less secure, but very useful for some automated tasks. By default, private and public keys id_rsa and id_rsa.pub respectively, should now be inside .ssh directory in your current user's home directory. enter 4096 in the "Number of bits in a generate key field"
PuTTYgen will start generating your key. Move your mouse in random manner over the blank area until the bar is full. 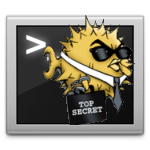 You can now configure a PuTTY session to use your private key, or load it automatically on start up with Pageant. You should now be able to log into your remote machine using public key authentication.